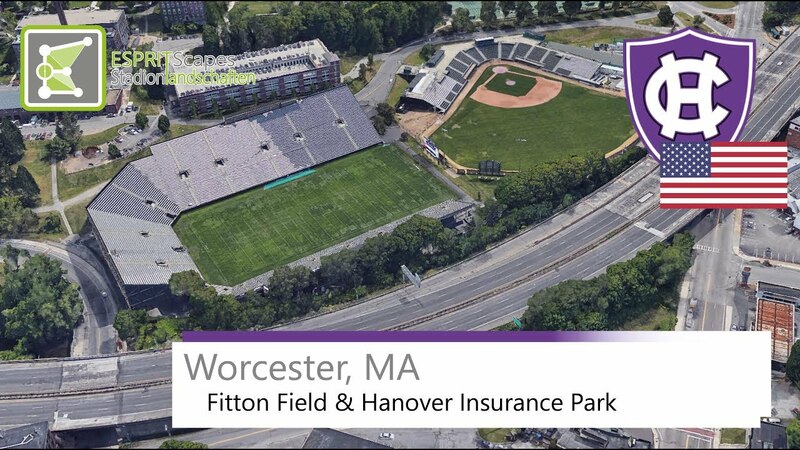 This weekend in frigid Worcester, Mass, 1-6 (0-2) Mountain Hawks take on the 1-6 (0-2) Holy Cross Crusaders at 1:00 PM at Fitton Field. Both teams enter Saturday looking to reverse big losing streaks, and looking to learn how to win. The Crusaders have lost four straight, while the Mountain Hawks have lost six straight. Both teams also will be looking to build some momentum through the end of 2018 to get some momentum into next year and perhaps finish with a .500 or better record in Patriot League play. While Colgate and Georgetown are undefeated in league play so far, a flourish to end the season would be a helpful springboard into the offseason. If you can't make it to the game, the game is streaming on the Patriot League Network,with Kevin Shea, Andy Lacombe and Breanna Wilson doing the call. This is the local broadcast produced on Charter 3 TV in Worcester (which you can get on your TV if you live in that area). Paired with the Holy Cross coverage you can pair it with the local AM 1230 and 1320 FOX radio broadcast, either off your old-fashioned radio, streamed through TuneIn or just simply going to the LVFoxSports.com webpage and listening that way. Matt Kerr, Matt Markus and Steve Lomangino are on the call this Saturday. We have our first bad-weather game of the season, played in weather more suited to Ireland or Scotland in December. The forecast is calling for 100% chance of rain, accumulation of 1 inch, with gusts of up to 20mph. Ball control and turnover prevention will be the order of the afternoon, it seems, and you're definitely want to pack your umbrellas. They're roads I've driven many times before: from 287 circling around New York City, take the road over the new Tappan Zee Bridge through White Plains, and take the exit for Route 15/the Merritt Parkway. Take that to Route 91 around New Haven to cut up to Hartford, where you'll join Route 84 to take you up to the Mass Pike. Take Exit 10, and you're basically there. From Bethlehem, it's about a 4 hour 15 minute drive. Two lots are available for visitors, the one that's the best and most informal is Freshman Field, which technically is past the stadium if you approach it from MA-10. Not sure how it holds up in the rain, but there are generally tailgaters there. It is $10 per vehicle. The one you'll really want to pay attention to is the restriction on glass containers. Bring cans or your shaker with loads of ice. There is an official alumni tailgate planned for this game at Freshman Field. Signup for the tailgate is closed. Also, for the second straight weekend, Lehigh faces an opponent on it's Family Weekend. As is tradition at Holy Cross, the Most Valuable Player of the game will take home the Dr. Edward N. Anderson Award - adding some extra fin to the matchup. It will also be Cancer Awareness Day, where Holy Cross will recognize the strength and resolve of cancer survivors and their families, and fundraise for a few fantastic cancer organizations. In addition, the first 500 fans to enter Fitton Field will receive free Holy Cross bag tags courtesy of IBEW Local 96. This week's travelling burger of the week comes from Wild Willy's Burgers in Worcester, and their specialty is simply the Willy Burger. The trick on this burger is simply the quality of all the ingredients - high quality meat, lettuce, tomato, red onion, pickles, American Cheese, ketchup, mustard, and mayo, all on a massive toasted bun. (No Mayochup allowed!). It's really amazing how a regular-sounding burger can really become something special by taking care on the ingredients. Maybe don't make your own ketchup, but something like slicing a big red onion, spending a few extra bucks on the better beef or some premium pickles, or even for the adventurous making your own mayo... it can make for something special like the Willy Burger. Are you having a great Lehigh football season so far? I'm not. I want a win. Like, this weekend. I'm picking a Drink of the Week that is something strong, in case we all need it after another Lehigh loss. (Hopefully next week I can dial back on the strong drinks. On a cold, 40 degree, rainy day, I can't think of a better drink to have around than a Boozy Hot Chocolate Cocktail. Best of all, it's super-easy to make. Keep a piping hot thermos filled with hot chocolate, then, at the last minute, add the spirit of choice. The recipe on Liquor.com suggests Kahlúa, Baileys Irish Cream, peppermint schnapps, Green Chartreuse or Bourbon as the alcohol of choice, but I'd suggest also a splash of creme de menthe in there, too. Mint and chocolate are a great combination, win or lose. Let's hope we can wait to raise some of these in triumph when we get home, rather than raise them in sadness after a Lehigh loss. If any of you folks are coming despite the terrible forecast, the Freshman Field will likely be closed, but security will direct you to an allowable parking spot. Should be plenty of spots, sadly! Wish they postponed football games, 24 hours later it's supposed to be nice. The LU Athletic Dept. should mail a big check on Monday morning to every Lehigh fan who braved the elements, and then had to sit through that debacle. No one should have to watch that in good weather, much less the mess in Worcester.